Everyone has an important history that makes them who they are. My history and the history of my family is unique. I treasure it. The adventure of discovering my history has filled over 30 years of my life. It has taken me on many journeys and opened my imagination as I have learned about the people and places that are part of this history. The history we learn in school is a record of great deeds by great men and women. What is neglected is the story of people who, step by step, and through quiet sacrifice helped to build a country one family at a time. 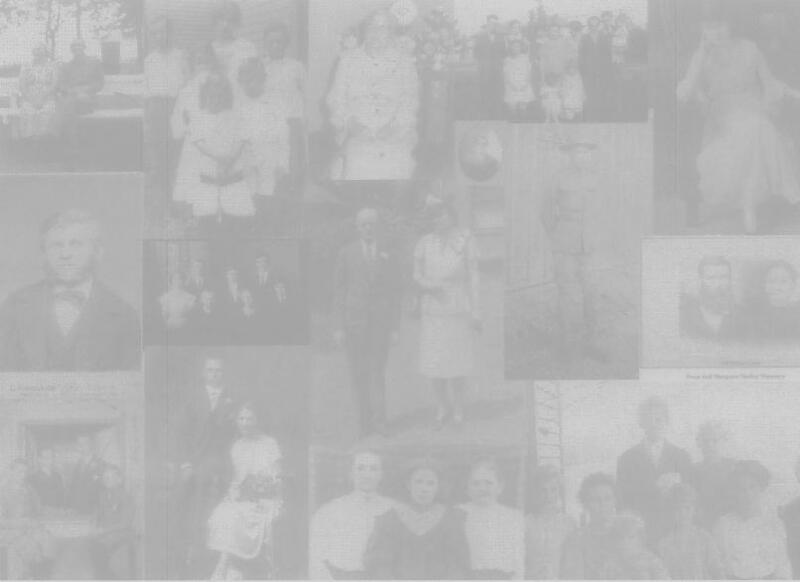 What I have learned in researching my family history has gone far beyond the walls of my home. I have found heros and villains, saints and sinners. I have found myself. After many years of research I finally feel comfortable publishing my Family History. This would not have been possible without the support and guidance I have received from many others. My gratitude needs to be extended to many wonderful teachers who over the years who have influenced and taught me. Some of these teachers are: Arlou Brown who in 1973 first inspired me to get started and helped me begin to organize my research; Edgar Morgenegg, who told me stories to inspire me to continue and listened to my stories as I found them; Louise Mendenhall who gave me photos, stories and encouragement; Estelle Weed who prodded me on when I got discouraged; and all the teachers I have had through BYU's Independent Study program. I am grateful to all of my children for their support through the years. I am especially grateful to my sons Andrew and Daniel. Andrew gave me space on his web server. More importantly his boundless enthusiasm convinced me I could and should do this. Daniel patiently taught me the basic programming skills I needed to complete this project. I am also grateful to my dear husband who put up with my researching, tying up our computer, and requesting gifts that were often out of the ordinary and the budget, and who also made this a whole lot more work than it originally would have been with his wonderful suggestions and ideas. Last but certainly not least I am grateful to my Heavenly Father, for leading me to the Church of Jesus Christ of Latter-day Saints, and to the Holy Ghost, who has guided me along the many roads this journey has taken me on. I hope viewing these pages will encourage you to begin or continue your journey to discover your own personal history.